While the Marvel Cinematic Universe receives a lot of praise for constructing tightly woven multi-film plot arcs that contribute to a wider story, Warner Bros. have quietly been building their own version in the Conjuring Universe, which currently consists of The Conjuring (2013), Annabelle (2014), The Conjuring 2 (2016), Annabelle: Creation (2017) and, coming on September 7th, The Nun. The films have received middling-to-positive critical notices, but they’ve really excelled financially – for example, Annabelle made back 40 times its $6.5 million budget. Even better for New Line and Warner Bros., the combined box office take for the universe is an impressive $1.2 billion. All this makes it unsurprising that they’re scheduling a couple more films to bolster those numbers even further, and have confirmed today that a sequel to Creation – for now called Annabelle 3 – is due for release on July 3rd, 2019. Though some may groan at yet another feature film revolving around that terrifying doll, the pic is certainly in good hands. Dauberman’s an accomplished horror veteran, as he also wrote The Nun, not to mention he’s behind the script for both It and It: Chapter Two. 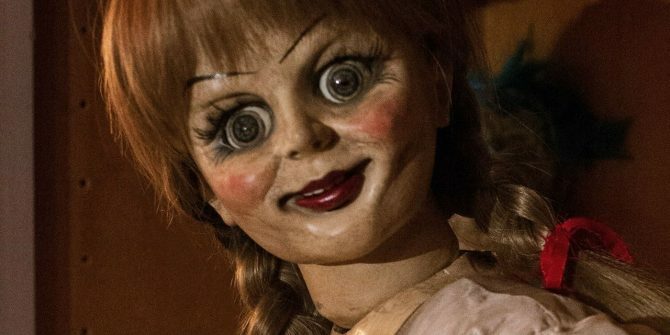 And with James Wan involved as well, we’re hopeful that the quality of Annabelle 3 will be able to match what we’ve seen from the rest of the franchise. Speaking of which, next up for the fledgling Conjuring universe is the release of The Nun on September 7th. There’s also a spinoff dedicated to The Crooked Man on the way, before all involved regroup to launch The Conjuring 3. Series stalwarts Patrick Wilson (Aquaman) and Vera Farmiga are said to be courting Wan back for the horror threequel, but there’s still no firm update on that front just yet.